Home / Articles tagged with "CPAP"
It can disrupt your sleep 30 times per hour. 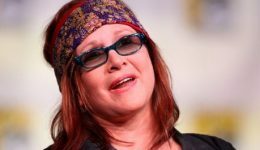 The actress suffered from a disorder affecting 22 million Americans. Trouble sleeping away from home? An expert explains five things to do to ensure your sleep isn’t lacking when traveling. The common sleep disorder treatment cures more than just a sleepless night, says a new study.